In the event of a power cut or electricity emergency, simply call the new National Emergency number 105* from your landline or mobile. 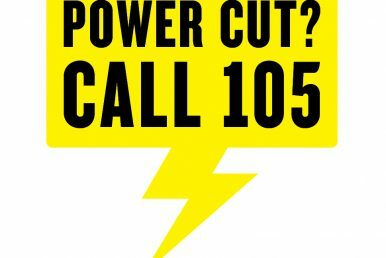 Please note 105 is a new number that you can call to report or get information about a power cut. Our Telephone number 01234 486487 number is still in use however the 105 number will put you through to your local electricity network operator – the company that manages the cables, wires and substations that bring electricity into homes and businesses in your area. If you are elderly, disabled, very ill and/or rely on electricity for medical equipment you may need extra support during a power cut. To join our Priority Service, please contact us. We have a team of electricity support professionals to offer you advice and reassurance if you’re in need of help. Are your neighbours without power? Are the street lights off? If the answer is yes to any of these questions you should call the emergency Freephone number on 105. We do not always know automatically if power has been lost in a particular region, therefore we will usually need to collect your contact details, understand the network fault, and then send a member of our network team to investigate and resolve the issue. Everything in the house has lost supply or if you have only lost power to certain areas. e.g. are the lights on but items such as the TV are not working? If this is the case then it may be that one of your appliances is faulty. In this situation, unfortunately Eclipse Power will not be able to help. There is no power at all to anything in the house, and if so, ensure your main trip switch to on. If this does not bring your power back on then please call the Freephone number on 105, and we will arrange for one of our engineers to visit your property. If you consider yourself a vulnerable individual or have special circumstances, we can arrange for a security password between you and the engineer that will visit your property. It is possible to have voltage fluctuations during the time when we are working to restore supplies, and although recently manufactured goods have devices installed to protect them during the period of such fluctuations, some equipment may develop problems or cease to work. Please note, voltage fluctuations are out of the control of Eclipse Power, and we therefore cannot be held responsible if products develop a fault as a result of our works or stop working once we have restored the power supply. Switch off all appliances and equipment where possible, except for one light. The light will let you know that the power has come back on. Try to keep a torch close at hand. Avoid losing information on or damaging your PC by backing up information and where applicable give consideration to installing a (UPS) uninterruptible power supply. Un-plug all your sensitive electronic equipment in the house such as televisions, satellite system, DVD players, computer systems etc. until your power is restored. During cold months, keep warm with blankets as your central heating system generally relies on electronic timers or pumps so your boiler will not work until the power comes back on. Gas cookers and ovens may also rely on electrical power to operate so you may have to keep a box of matches in the event of a power cut. Fridges and freezers will stay cooler for longer if you avoid opening and closing the doors. Covering the fridge and/or freezer with a large blanket will also help to keep the contents cooler for longer, however avoid covering any vents. It is worth waiting for at least an hour after your power is back on before you switch everything on.